If you are looking for a way to wash off the winter chill, look no further than a plush casino resort. Hidden away from the hustle and bustle of the casino floor, many casinos offer indoor amenities that will rejuvenate your body, mind and soul. Whether it is relaxing in a sauna, getting a deep tissue massage or jogging on a treadmill, do yourself a favor and reserve some time for some rest and relaxation in one these top spas of the South. The Spa at Rhythm City is an Aveda salon and spa that offers luxurious spa services and lavish facilities that will leave you feeling relaxed, renewed, and refreshed. Your options include a variety of massage, skin care, body treatment, hair, and nail services, among others. Full use of the spa’s additional amenities are included with any spa service, meaning you can take full advantage of the essential oil-scented ice room, infrared sauna, jetted hot tub, and private steam showers following your services. Indulge your senses with a pampering treatment from Wave Spa, featuring luxurious products from Eminence Organic Skin Care, Osmosis mineral makeup, Moroccoanoil hair and body line, and CND polish. Pamper yourself with a soothing massage, a refreshing facial, or a relaxing mani/pedi. Or, get ready to look and feel your best with the salon’s haircut, color, makeup, and waxing services. The pampering doesn’t have to end at Wave Spa: treat yourself in the retail boutique, where you can purchase many of the luxurious products featured in your treatments and take your spa experience home with you. From weekly specials to exclusive spa events, there’s always something to look forward to at Wave Spa. nails in a beautiful spa environment. Plus, receive Free Play in the casino each time you visit the spa for an appointment. Relax, unwind, and pamper yourself at Terradea Spa. The Soaring Eagle Spa & Salon offers a variety of luxurious services to help you look and feel your best. Indulge in a relaxing massage, a luxurious facial, or one of the many unique body treatments offered. Or, receive a cut, color, or waxing service in the salon so you’ll feel polished and confident for a night at the casino. Whatever you choose, you’ll leave feeling relaxed, refreshed, and ready to enjoy one of the many other amenities offered at Soaring Eagle Casino & Resort. 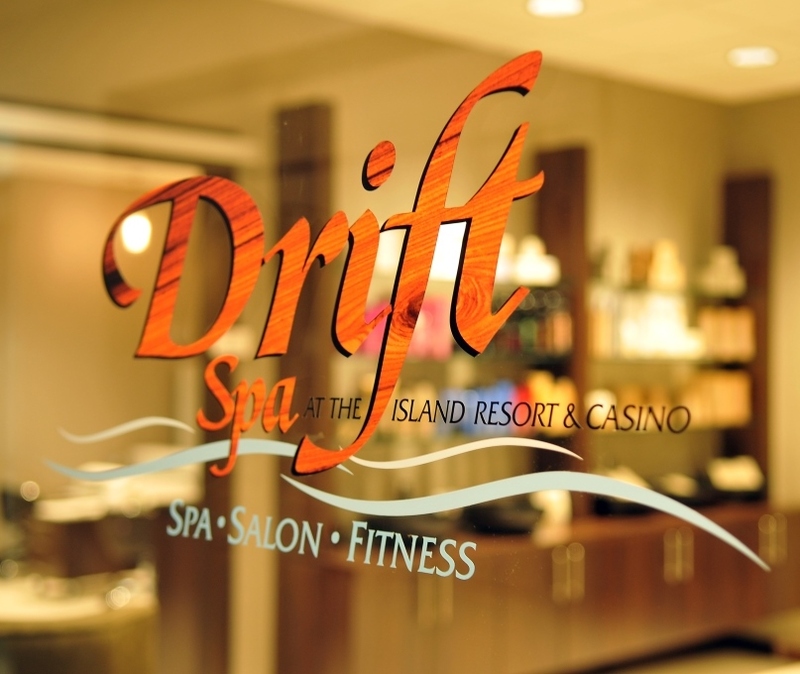 Tucked away in Michigan’s Upper Peninsula is a refreshing and tranquil oasis at Island Resort & Casino’s Drift Spa. Specializing in nature-based treatments, the skilled therapists at Drift Spa will help you relax, refresh, and restore mind-body synergy using natural, clean, and local products. Choose from a variety of facials, massages, body treatments, and nail services. For a more enhanced experience, relax in our tranquility rooms and enjoy our sauna, indoor salt-water pool, fitness center, and more. Voted Best Spa in St. Louis by Ladue News and Alive Magazine (Hot List Awards), the Spa and Salon at Four Seasons Hotel St. Louis offers an array of indulgent treatments. Step into an urban oasis of tranquility, with luxuriously appointed treatment regimens carefully designed to promote a sense of pampering and wellness including massages, facials, body treatments, salon services, spa and swim, and fitness memberships. Treat yourself to the ultimate gift: the gift of you. Beleza Spa & Salon offers everything you need and less: less tension, less stress, less worry. Beleza, or “beauty” in Portuguese, offers a variety of massages, body treatments, facials, and more to help you feel relaxed on the inside and radiant on the outside. Escape the ordinary and prepare to be pampered at Beleza, the most luxurious Spa Resort in Indiana. Do your research! No two spas are alike, so make sure a spa offers the specific services and overall atmosphere that you’re looking for before booking. Make an appointment – especially if you’re hoping to receive a service during your vacation or before a special occasion. Some places book up in advance, so reserving your spot ahead of time will ensure you aren’t turned away at the door as a walk-in. Ahead of your treatment, avoid eating heavy meals and limit your caffeine intake so that you’re able to relax and get comfortable. Be sure to drink plenty of water before and during your services to stay hydrated. If you’ve booked any exfoliation treatments, do not shave less than eight hours before your service, as this may cause skin irritation. Don’t plan on doing anything too strenuous immediately following your time at the spa, or you may become lightheaded.